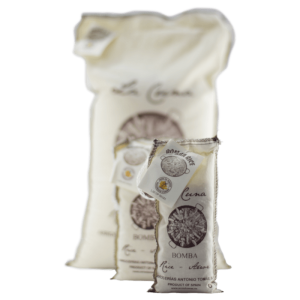 Bomba rice is the most sought-after for paella because of its superior quality and absorption properties, it makes the best paella! 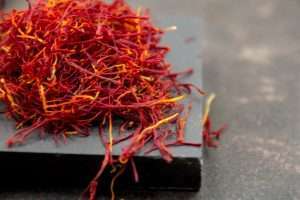 It is able to absorb a lot of liquid, up to 3 times its dry weight, taking up the flavour of the stock. 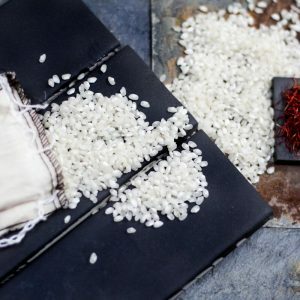 In addition, unlike many other rice varieties, Bomba does not split during cooking but instead becomes fissured across its width, like an accordion. 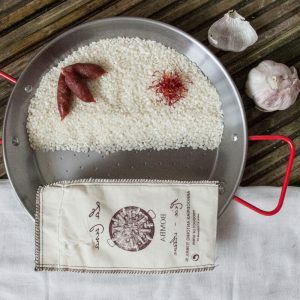 It comes in a pretty cotton sack, which helps to keep the rice protected, dry and not humid. 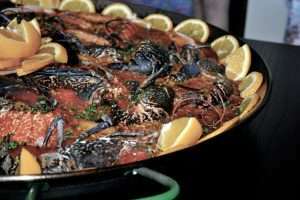 Rice from Valencia, 'the home of Paella', has been farmed on the wet and flood-prone lands around La Albufera for thousands of years; forming an essential part of local cuisine and culture. 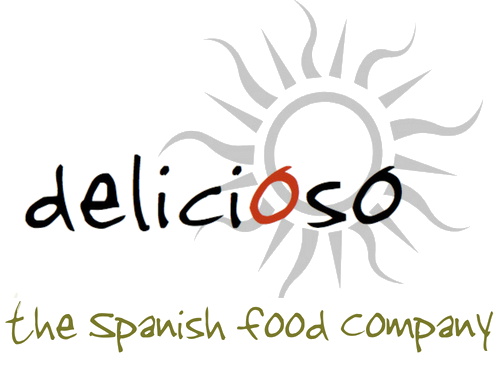 As a mark of its quality this rice carries a Denomination of Origin from Valencia. 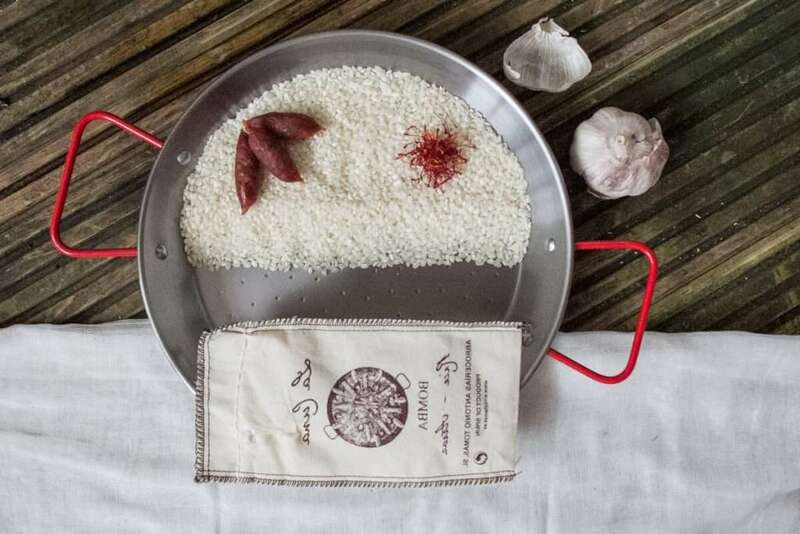 Bomba rice is preserved by genetic selection at the Rice Station at Sueca (Valencia) since 1929, and its production is limited as it is difficult to grow. Read more about our producer here. NUTRITIONAL INFORMATION per 100g: Energy 1499 kJ / 358 kcal, Fat 0.5g, of which saturates 0.1g, Carbohydrates 79.2g, of which sugars 0g, Protein 6.5g, salt trace.